In the history of cinema we can find several unforgettable periods and schools which rise to the surface, are of universal significance and continue to fascinate viewers all over the world. One such collection if the Polish Film of Moral Anxiety – a creative period from the mid 70s through to the early 80s of the 20th century. Its historic contribution lies in its profound and perceptive vision of non-normal and amoral situations sparked by 1968. This year represented an end to hope and was crucial to a whole generation which found itself convinced that all the ideals they had been brought up to cherish could be discarded like worthless rubbish. Polish artists sought inspiration from the same sense of moral resistance and indignation which inspired Czechoslovak filmmakers of the New Wave in the 1960s; just as some of their like-minded colleagues in Hungary, Bulgaria and the USSR where the vision of “Socialism with a Human Face”, after a period of thaw in the 1950s and 1960s, was obliterrated by Brezhnev´s hard-line policies. Polish filmmakers of several generations reacted to this situation in a very specific way: in their films they concentrated particularly on the present and on symbolic locations (schools, theatres, family life, sports clubs) and highlighted specific themes linked to loss of ideals and moral values (careerism, family life disintegrating under social pressures, lack of freedom etc.) In formal terms their films surprise viewers with their conscious documentary method of filmmaking which is very professionally executed with careful use of locations and character delineation. 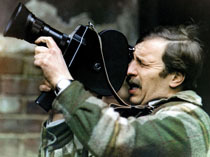 Poland´s icons from this era include Andrzej Wajda, Krzysztof Kieślowski, Krzysztof Zanussi and Agnieszka Holland. Somewhat in their shadow remain other filmmakers who deserve attention: Filip Bajon, Feliks Falk, Tomasz Zygadlo, Barbara Sass, Ryszard Bugajski, Janusz Kijowski, Janusz Zaorski or Piotr Andrejew. An integral part of this cycle will be a presentation of Polish documentary filmmakers (e.g. Marcel Łoziński, Marek Piwowski, Tomasz Zygadło), who exerted a crucial influence on the birth of the cinema of moral anxiety and who in their own films address identical problems. Polish films of moral anxiety, which arose not only out of betrayed hope and dashed ideals but also as a reaction to the failure of society in general have much in common with the attitudes of today´s young generation in Poland. Young peoples´ fragmented perception of messages inherent in these films today reinforces their position on basic moral issues such as justice and the interpretation of good and evil in professional and private situations alike.